The Coledale is a genuine country inn situated above Braithwaite Village in a peaceful hillside position well away from passing traffic. It is ideally situated for touring and walking, with paths to the mountains immediately outside the hotel gardens. Relax in our quiet and safe beer garden on your return. There is ample parking and you can leave the car for your entire stay if you wish, as there are plenty of walks that can be done from the hotel. Walkers, families and pets welcome. Twenty newly refurbished en-suite rooms are located in both the Georgian and Victorian parts of the hotel and have TV and tea/coffee making facilities. The inn is extremely interesting in itself. It was built c.1824, starting life as a woollen mill, then a pencil mill, eventually becoming the licensed premises it is today. It is full of attractive Victorian prints, furnishings and antiques. From the moment you enter the welcoming Victorian residents' hallway, you will feel at home and comfortable at The Coledale Inn. If you would like to receive special offers via email from the Coledale Inn then please subscribe to our newsletter. 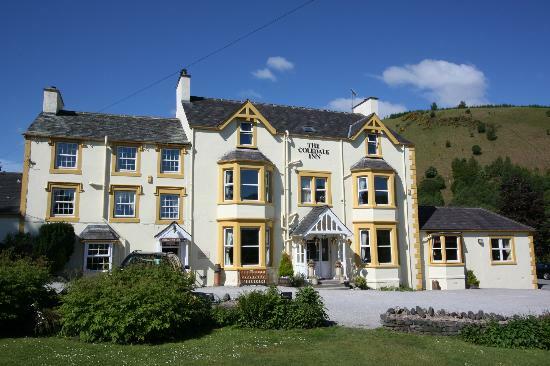 You may also be interested in visting one of our partner hotels: The Mary Mount Hotel, Borrowdale, the White Horse, Scales, near Threlkeld and the newly acquired Ravenstone Manor, Bassenthwaite. 28th April - 17th October 2019 excluding half terms and bank holiday weeks. Children up to 24 months are free. All prices based on 2 people sharing a room. *Dinner based on 2 courses from our special menu. 4th Jan - 18th April 2019, 27th Oct - 21st Dec 2019 excluding half terms and bank holiday weeks. Children up to 24 months are free. All prices based on 2 people sharing a room. *Dinner based on 2 courses from our special menu. Please call on 017687 78272 for any further information or for extra special last-minute midweek and weekend deals or prices.